Ok folks here it is! 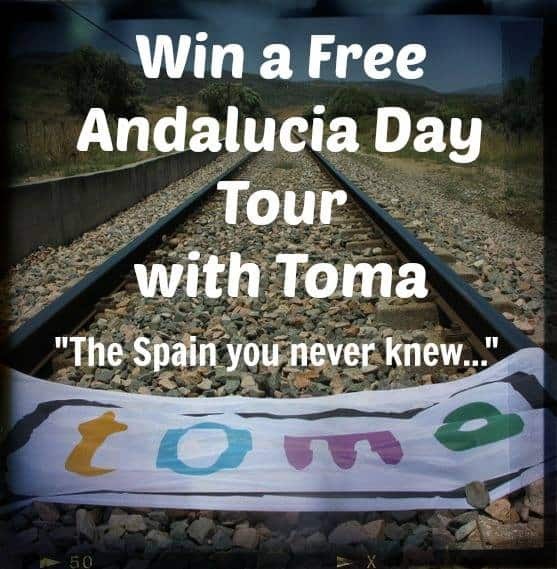 To celebrate the Toma Tours exclusive #photography tour next month, they will give one lucky winner a FREE day trip for 4 people with a delicious lunch to one of the most picturesque parts of Andalucia along their beloved Mr Henderson’s Railway! All you have to do is pick your favourite photograph with an Andalucían or travel-related theme and post it below. Then share this post and get all your peeps to like and comment on your picture and the most popular photo will win the trip! Rule are; 1. Use only your own photographs, no copyright theft!, 2. The theme is Andalucia (or Travel if you have never been here :)) , 3. One entry per person, 4. The most popular photo wins the tour when combining total number of likes, comments and shares on the photo itself, 5. Winner will be chosen January 31st, 6. Judges decision is final! 6. Tour to be taken within 3 months of the draw. Off you go and good luck!